Storms can take a toll on our local community! 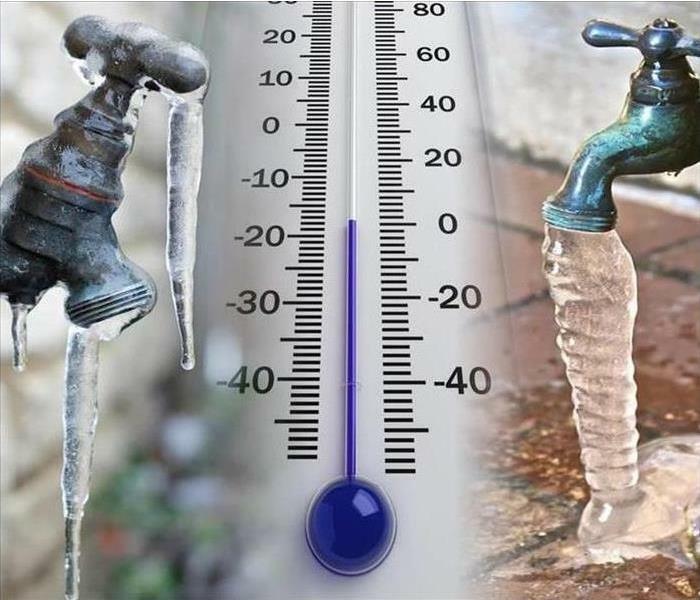 During the recent “polar vortex” that affected the Chicagoland area, SERVPRO of LaGrange/Burr Ridge/Hinsdale was called upon by hundreds of residents and businesses that experienced frozen pipe bursts. Many homes were deluged with water and countless businesses were forced to remain closed. Due to the overwhelming number of emergency calls we received, we were able to engage the help of our corporate team and SERVPRO deployed the national Storm Team. Crews, equipment and trucks were dispatched from strategic locations throughout the US and were able to respond to customer needs quickly. We proved that even under the most challenging of times, we stepped up and proved that We are Here to Help® and were ready to respond to unusual storm and flooding conditions in the local LaGrange, Burr Ridge and Hinsdale areas when we were needed most. When a storm hits your Hinsdale home or business, you need help immediately. Our quick response will help prevent secondary damage and help reduce restoration costs. We live and work in this community too; we might even be neighbors. As a locally owned and operated business, SERVPRO of LaGrange / Burr Ridge / Hinsdale is close by and ready to respond to storm and disaster events. We are proud to be an active member of the Hinsdale community and want to do our part to make our community the best it can be.